The efficient visualization of dynamic network structures has become a dominant problem in many big data applications, such as large network analytics, traffic management, resource allocation graphs, logistics, social networks, and large document repositories. In this paper, we present a large-graph visualization system called ModuleGraph. ModuleGraph is a scalable representation of graph structures by treating a graph as a set of modules. The main objectives are: (1) to detect graph patterns in the visualization of large-graph data, and (2) to emphasize the interconnecting structures to detect potential interactions between local modules. Our first contribution is a hybrid modularity measure. This measure partitions the cohesion of the graph at various levels of details. We aggregate clusters of nodes and edges into several modules to reduce the overlap between graph components on a 2D display. Our second contribution is a k-clustering method that can flexibly detect the local patterns or substructures in modules. Patterns of modules are preserved by the ModuleGraph system to avoid information loss, while sub-graphs are clustered as a single node. Our experiments show that this method can efficiently support large-scale social and spatial network visualization. 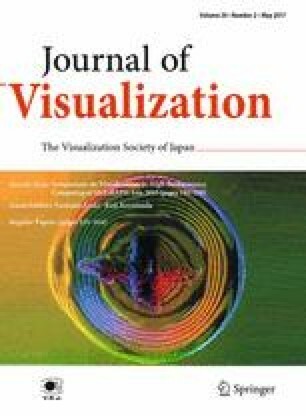 An earlier version of the paper was presented at the SIGGRAPH Asia 2015 Symposium on Visualization in High Performance Computing, 2–5 November, Kobe, Japan, 2015. The authors would like to acknowledge the partial support of the Hong Kong Research Grants Council Grants, GRF PolyU 5100/12E, IGRF PolyU 152142/15E, and Project 4-ZZFF from the Department of Computing, The Hong Kong Polytechnic University.